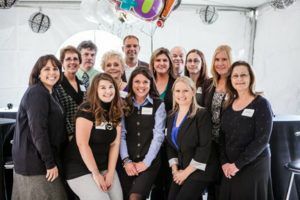 Customer retention strategy and relationship marketing firm celebrates its new space with special guests. Online PR News – WALLED LAKE, Mich. – Nov. 5, 2013 – Continuity Programs, a leader in customer relationship marketing and client retention strategies, recently held an open house in its new facility. Guests included clients and dignitaries at the event, which featured a tour of the company’s new 22,637-square-foot facility and a celebration of 40 years in business. The new location is in Walled Lake, not far from Continuity Programs’ previous offices. The customer retention strategy firm needed the larger space to accommodate a growing marketing team, as well as new printing and publishing equipment. L. Brooks Patterson, Oakland County executive, spoke at the event. He acknowledged the company’s strides during tight economic times. Patterson presented two proclamations to Kirk King, President of Continuity Programs, recognizing the firm as an important part of the community. The company also received recognition from the State of Michigan and the Michigan Economic Development Corporation.